This delicious, almost neon, peachy bomb of a creme is Color Club East Austin from their Fall 2013 Girl About Town collection. This color is absolutely gorgeous! On the photo it looks like it gave me lobster hands but that is just the camera freaking out with the brightness of this shade. In real life it actually made my winter pale hands look almost tanned. This is a perfect shade for a snowy and sunny winter day too! Like the other two cremes from the same collection this has good formula and application. A little streaky on the first coat and evened out perfectly with the second. This was a tiny bit thinner than the other two cremes and since my nails are so long I added a third coat. Top coat is of course HK Girl. ***East Austin was sent for review. I don’t benefit from clicking the link on this post. Today’s review is Poetic Hues from the Color Club Harlem Lights collection for Winter 2013. This is a cream colored good quality creme. 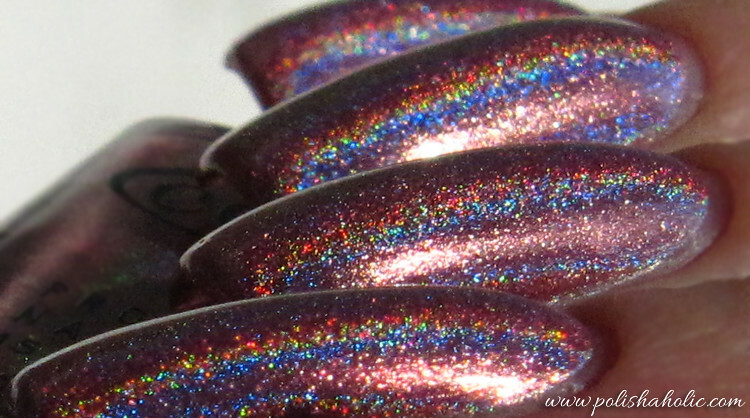 Again great looking alone and a good base for nail art or glitters. I don’t have anything like this in my stash so this was a welcome addition. On this mani I used two coats of Poetic Hues with G & G HK Girl top coat. Color Club seems to have found a good formula for these new cremes cos the application on this was also excellent. You would think this was a nightmare to apply looking at the color but it really was anything but. A little bit streaky on the first coat and evened out perfectly on the second coat. ***Poetic Hues was sent for review. HK Girl was purchased by me. I don’t benefit from clicking any of the links on this post. Happy Sundays lovelies! Here’s another new polish from Color Club. This is Sugar Rays from the the Harlem Lights Winter 2013 collection. Sand-y gold polish with light pink shimmer. Very pretty and makes a great base for glitter or nail art. For this mani I used three coats of Sugar Rays with G & G HK Girl top coat. Formula on this was good and application was smooth. I did three coats though two will be enough for shorter nails. This is actually quite sheer on the first coat but applies so evenly you can wear it like that if you only want some shimmer on your nails. ***Sugar Rays was sent for review. HK Girl was purchased by me. I don’t benefit from clicking any of the links on this post. Happy Saturday lovelies! Today I have another polish from the new Color Club fall 2013 Girl About Town Collection for you. 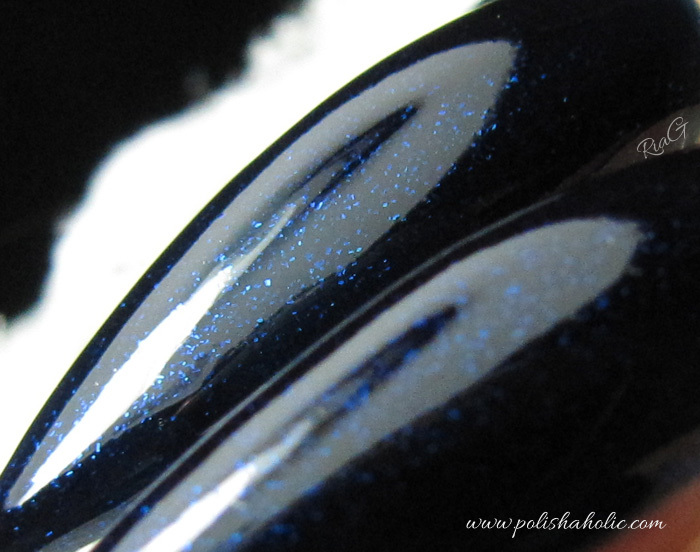 This is Williamsburg, a deep navy blue jelly with blue shimmer and what looks like micro-flakies on the macroshot. 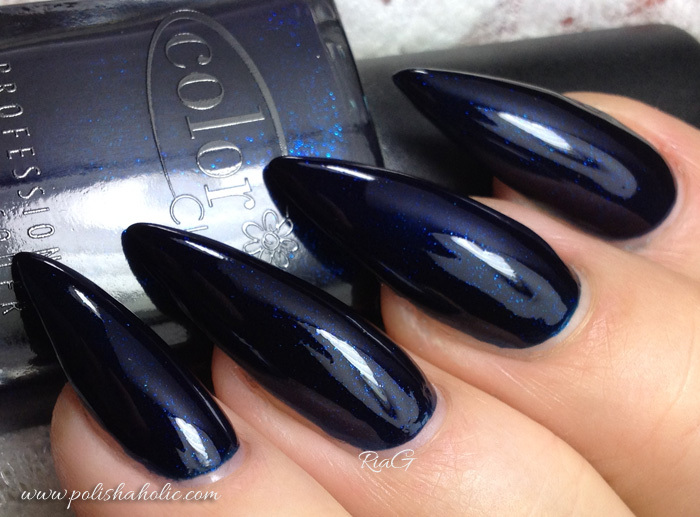 Very beautiful color that’s perfect for the holiday season. Add some gold or silver nail art and you’re ready to party! On this mani I used two coats of Williamsburg and G & G HK Girk top coat. This has a good formula and two coats was enough for my nails. Again, a tiny bit streaky on the first coat but evened out nicely with the second one. ***Williamsburg was sent for review. Other products used on this manicure were purchased by me. I don’t benefit from clicking any of the links on this post. Today I have another new Color Club shade for you from the Girl About Town Fall 2013 collection. This is Wicker Park, a beautiful lavender creme. For this mani I used two coats of Wicker Park with G & G HK Girl top coat. Wicker Park has an excellent formula and the application was a breeze. Just a tiny bit streaky on the first coat but evens out perfectly on the second one. Two coats is also enough for an opaque result. Very beautiful shade and a great quality! Looks like your average lavender/lilac creme but at least I don’t have dupes for this in my stash. ***This was sent for review, HK Girl was purchased by me. I don’t benefit from clicking any of the links on this post. Here’s a quick swatch of Color Club Uptown Girl from the Spring 2010 Rebel Debutante collection. This is three coats of Uptown Girl with G & G HK Girl top coat. ***Uptown Girl was given to me. All other products used on this manicure were purchased by me. I don’t benefit from clicking the links on this post. This Y week kinda sneaked up on me. I have been under an impression that I have plenty of Y polishes and I’m covered for that. Now that the week is finally hear none of my Y polishes really called my name. Not even the untried ones. Bleh! So I decided to go with an oldie but goodie. Color Club Volt Of Light is the only well behaving yellow I own. It is very sheer though and requires at least three coats. But I don’t see that as a huge problem since it also applies really thin. This is a neon shade and dries semi-matte. This is three coats of Color Club Volt Of Light with G & G HK Girl top coat. Volt Of Light has a lot of fine green shimmer and it kinda reminds me of those neon yellow markers that you use to highlight parts of text in your school books. IRL this is screaming bright neon and really glows! This would also make a great base for some nail art. I’m just so busy with all the house stuff that I left it be and just enjoyed the super bright neon yellow on it’s own. Today’s been another super busy day for me so this late post is also gonna be pretty short ;) For the letter P I chose Color Club’s beautiful Port-folio. I got this a while ago and it was still in my untrieds pile so I saw this as a perfect opportunity to finally wear this one. Port-folio was released in the Fall 2012 In The True Fashion collection. This is a purple and green duochrome. The duochrome effect is pretty strong. This applies well and dries fast. On the photos I have three coats of Port-folio and HK Girl top coat. 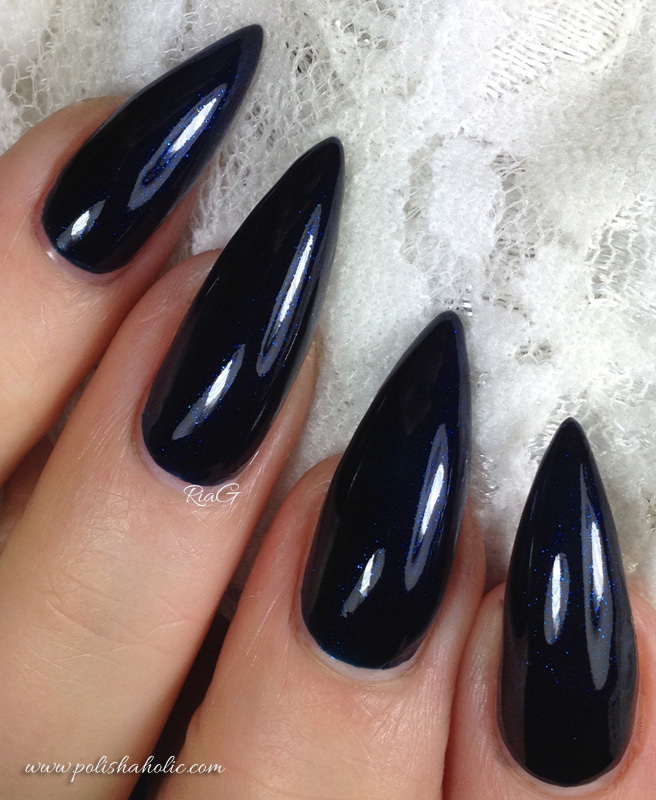 Two coats will easily be enough for shorter nails. Hi everyone :) Here’s another polish I love to use as a base for nail art and layering glitter polishes. 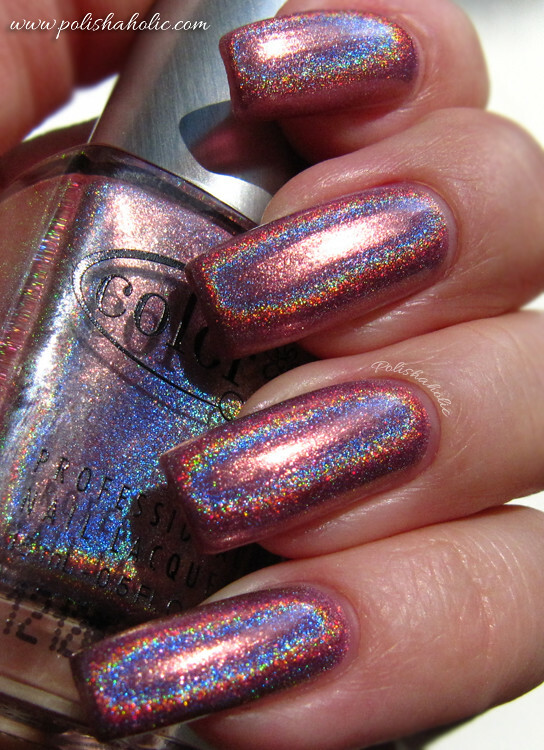 This is Color Club’s Take Me To Your Chateau from their Spring 2010 Pardon My French collection. Take Me To Your Chateau is a very pale baby blue creme. This is very well pigmented, almost a one coater even for my longer nails. On the photo I have two coats of Take Me To Your Chateau and HK Girl fast drying top coat. I really love this pale blue shade. It works great with a lot of other colors and nail art styles too. It’s Monday again! Another new week, another chance to receive some nail mail ;) Regardless of a huge amount of snow we still have on the ground, we also get some sunny days. You know, sun means a great opportunity to take some holo goodness photos. So today I have Color Club’s Halo-Graphic for you. 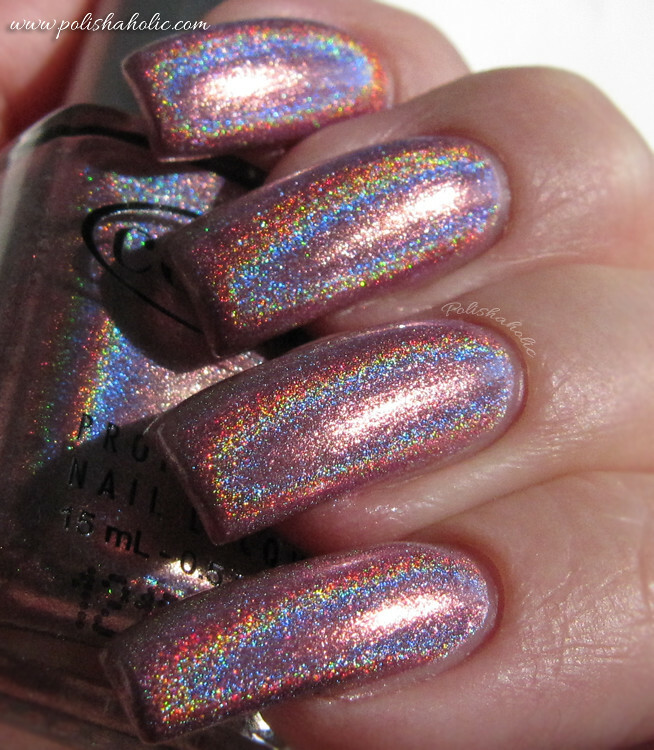 An awesome pink holo from last year’s Halo Hues collection. I only own this and Cherubic but I have to buy the other four shades too. Not to mention the Halo Hues 2013 collection! Halo-Graphic is a great quality polish. It applies smooth and even plus it dries fast. No need for special base coats either. I applied this over the UV-gel coating, no base coat at all. Holo effect is very strong on this one too. On the photos I have two coats of Halo-Graphic with Inm Super Fast Drying top coat. Such a beautiful color! Me likes! Color Club – Halo-Graphic with daylight bulbs. 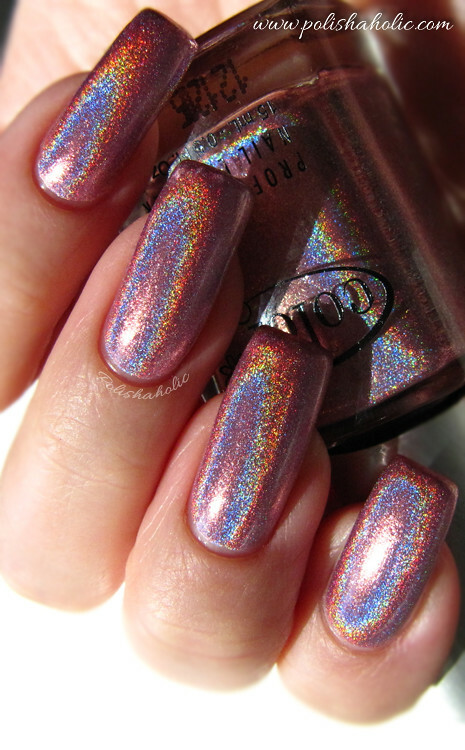 Color Club – Halo-Graphic in sunlight. It’s like a rainbow on my nails! 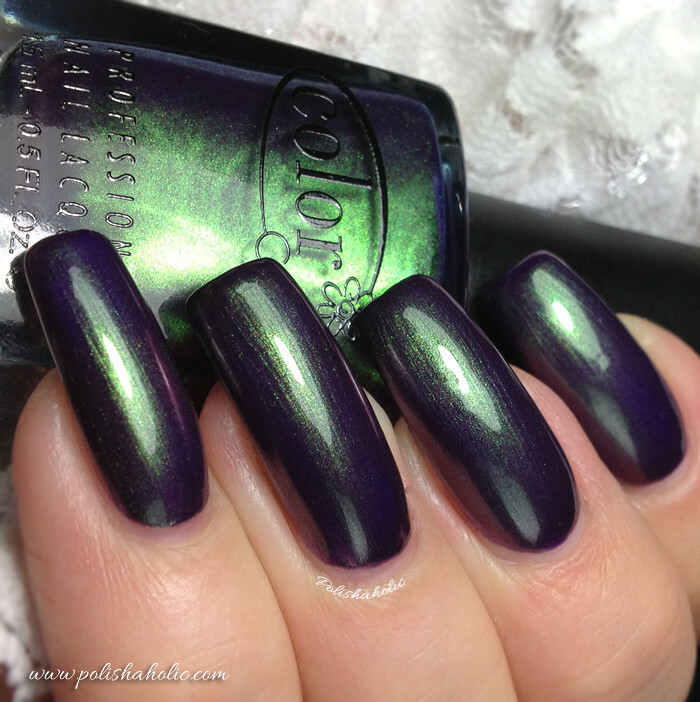 Color Club – Halo-Graphic in sunlight.